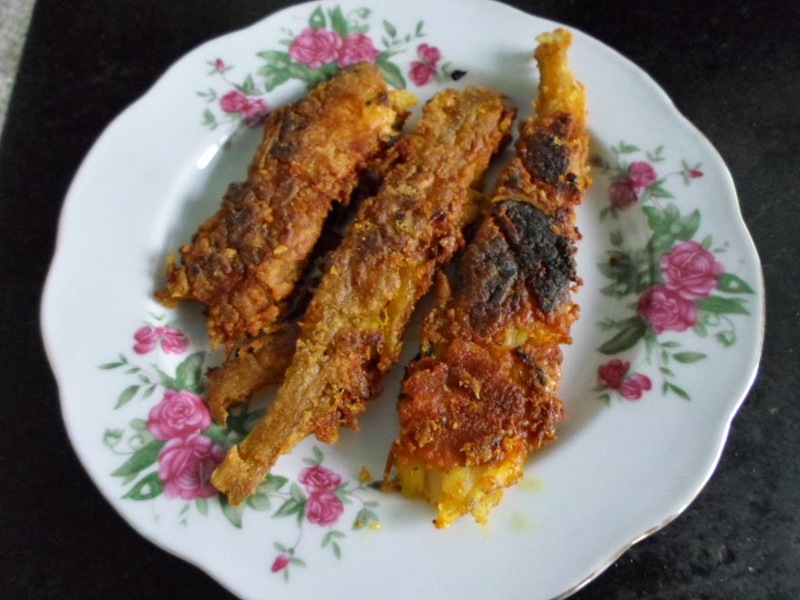 This is a Recipe for preparing authentic Maharashtrian Konkani Style crisp and spicy Bombil [Bombay Duck] Masala Fry. Wash the Bombay Ducks well after soaking in Water for ½ hour. Slit down the stomach without severing and let them dry. Then press them firmly on the grinding stone until they become quite flat. 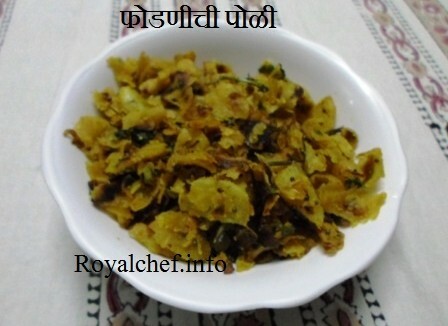 When quite dry, apply the Masala evenly on both sides and fry crisp. Serve with Rice and Curry.